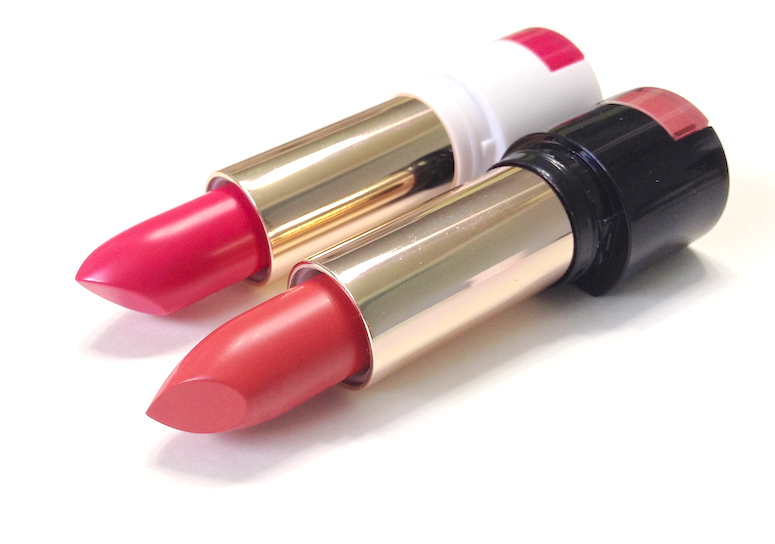 The lipsticks come in two versions: the Kiss Stick High Shine, which has a very creamy, emollient, richly pigmented formula, and the Kiss Stick Velvet, which has a modern matte finish and not as much pigment punch. 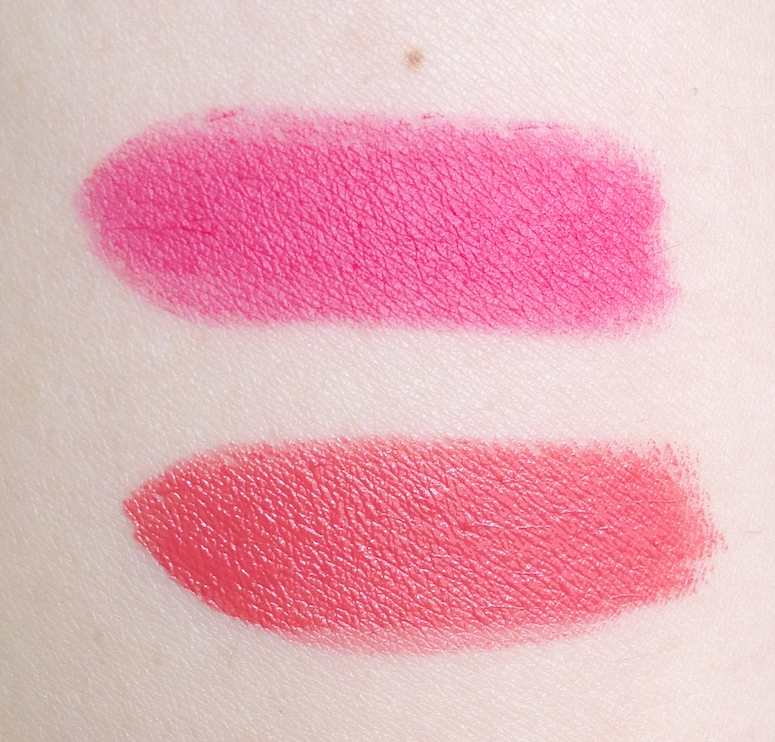 I purchased the former formula in the shade Ginger Lily (the terracotta coral) and the latter in Flamingo Flower (the hot pink). The packaging probably inspires strong feelings either way, and for my part, I think it's just lovely. It has a lot of style and panache, and I like the practicality of being able to see the shade on the bottom. 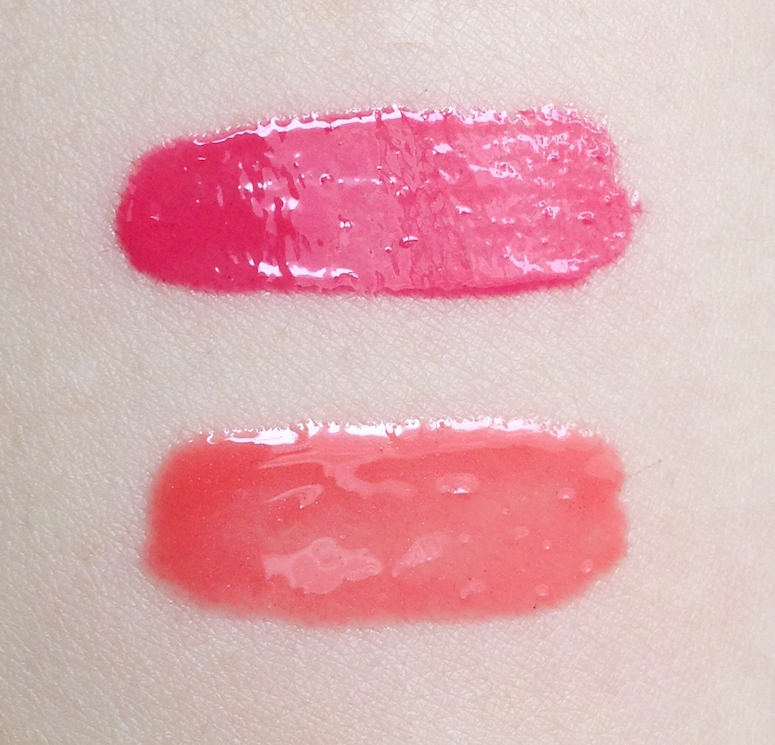 I really liked the formula of both of these, though the High Shine feels a lot more opulent on the lips. The Velvet formula has more silicone-slip, which can feel a bit dry to some people, though I didn't personally have an issue with that. With one pass it deposits a good amount of pigment, but is not completely opaque, whereas the High Shine formula has full coverage immediately. Both last about 6 hours with some light staining left behind, though I found the High Shine faded more evenly. The Shine On Lip Glosses only come in one variety, and I don't know if this is the case with all of them, but I find they have really nice coverage for a gloss. I purchased Iris I Could Fly (the bright, raspberry pink) and Pretty in Petunia (the warm coral). By the way, can we have a moment to just enjoy the super-cute names? 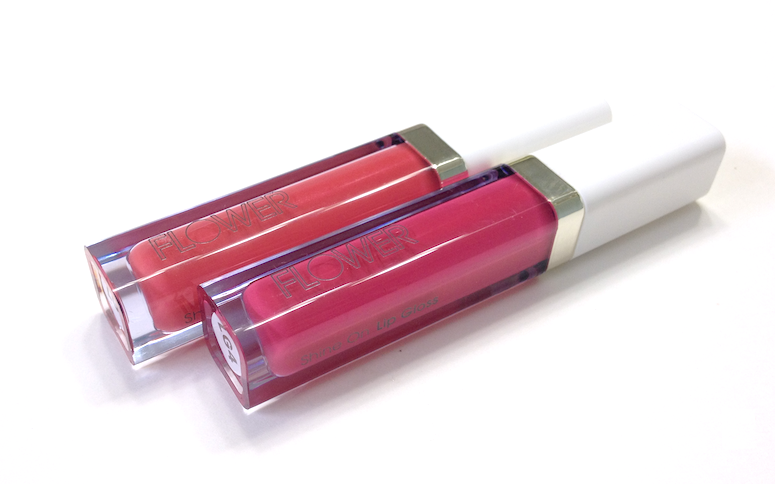 These are smooth-feeling, non-sticky glosses with no discernible scent, and while they are not particularly hydrating, they are very comfortable to wear and last for about 4 hours, though they don't stay as shiny. I really quite like these, especially Iris, which has a lot of colour punch for a gloss. Availability: Exclusive to Walmart. Price is 6.98$ USD for both the lipsticks and the lip glosses. Pros: Great pigmentation overall, especially so for the High Shine lipstick and the Iris shade of the gloss. 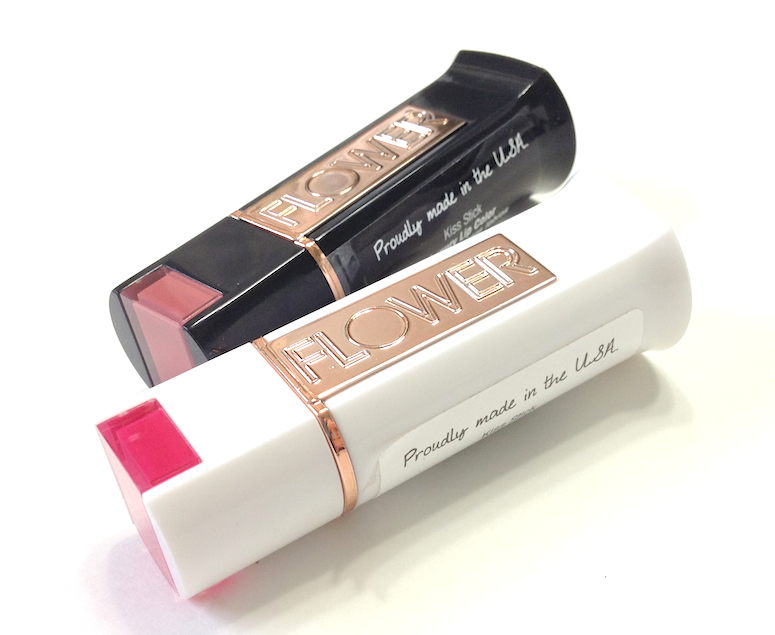 Good wear length and comfortable feeling, with the High Shine feeling especially creamy and smooth on the lips. Lip glosses are smooth and don't feel tacky. The brand is also cruelty-free and made in the USA, if those are concerns. Cons: The silicone in the Velvet lipsticks may feel drying, and it does require two passes to achieve the coverage and depth of one pass from the High Shine lipstick.